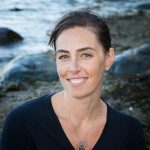 Meara Crawford is an environmental scientist with over 5 years of professional experience with provincial and federal government departments and in consulting. For example, she developed guidance documents for Ecological Risk Assessment (e.g., Environment Canada’s wildlife Toxicity Reference Values at federal contaminated sites), reviewed environmental quality assessments for various contaminated sites, and conducted environmental monitoring programs. Meara’s background is in environmental toxicology and chemical risk assessment approaches for petroleum hydrocarbon mixtures. She made contributions to a technical report for the Cohen Commission that evaluated the potential effects of contaminants on Fraser River sockeye salmon. 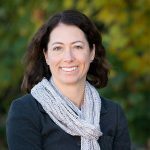 Meara’s skills in analysis, review, and reporting of environmental quality data are highly valued at Azimuth where she is an integral team member.